An innovative gathering destination, is coming to the South Puget Sound this November. With unique spaces designed to foster unforgettable experiences for groups large and small, Ocean5 is the ideal place for every occasion. Guests will have many ways to socialize in the 57,000-square-foot building, the first of its kind in the region. Options include a two-story laser challenge arena, exciting game room, 10 pin and duckpin bowling and comfortable spaces throughout. Ocean5 also specializes in private event and party spaces for groups from 5 to over 400, with dedicated event teams and banquet services. The concept was developed by long-time Gig Harbor resident Troy Alstead, the former chief operating officer of Starbucks. Ocean5 gets its name from the idea that all five of the world’s great oceans are connected. The company’s goal is to provide a place that inspires connections between people, with the community, and the rest of the world, with the mission to enable and inspire small actions that create a positive impact to the health of our oceans, starting with Puget Sound. Ocean5 plans to have programming that includes youth education programs, partnerships with non-profits and community volunteer events. 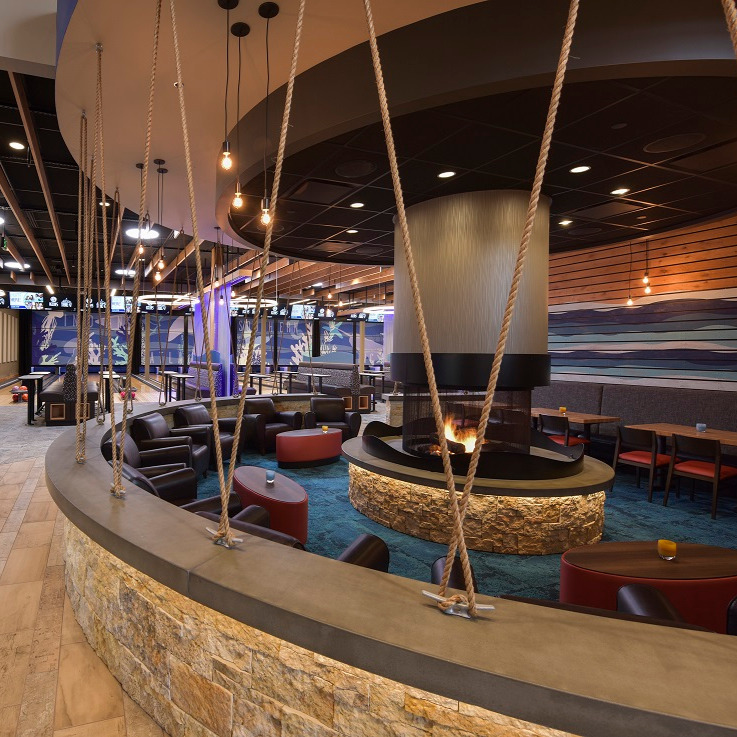 Ocean5 is pursuing LEED certification, and is constructed sustainably with materials such as carpet tiles made of recycled fishing nets and reclaimed wood. The building will be heated and cooled by geothermal energy from over 3 miles of wells under the parking lot, significantly reducing energy use for a facility this size. Also on the property is Table 47, a casual 300-seat restaurant that responsibly sources its ingredients and can be experienced either together or separately from Ocean5.